770. What is the preservative used in most stored blood? What is the shelf life of stored blood? What is the hematocrit of a unit of pRBCs? Who is at risk for pRBC-transfusion hyperkalemia? 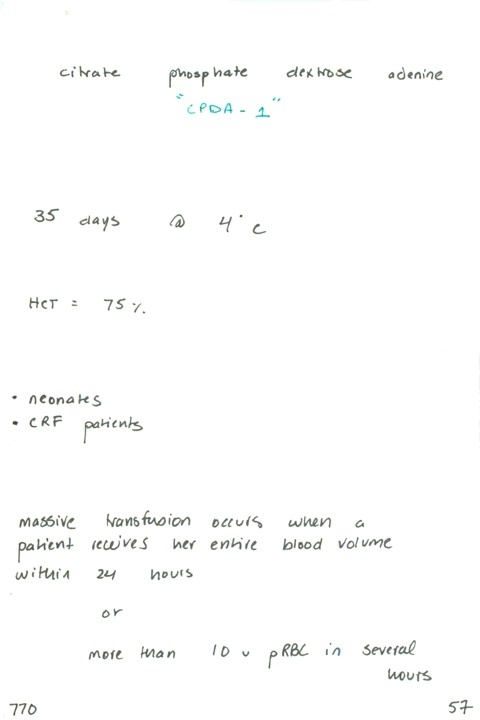 Define massive transfusion.